Complex Embedded Systems Design done with ease. Get your quote now! TronicsZone, along with its professionally trained personnel and state-of –the-art infrastructure designing techniques, is your one stop solution source for embedded product engineering and development. Our services comply wherever you may find a microcontroller unit (MCU) incorporated into an efficiently functioning electronic design. 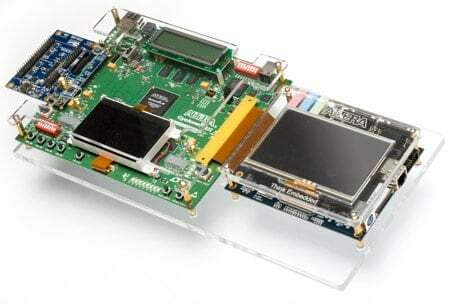 Why choose TronicsZone for Embedded System Design? TronicsZone is an Embedded Systems Design firm had has tight control over its hardware & firmware development. Customers who wish to outsource the embedded systems design can achieve higher quality at affordable costs. At TronicsZone, we work towards getting things right the first time. Every design is thoroughly studied, thought through and passed through an extensive set of tests to ensure maximum fault detection. This diligent checking and testing removes the risk of device and design failure by many folds, saving both precious time and efforts. We can build working prototypes to prove the working of the design. With a rock solid reputation & 16 + years experience, TronicsZone has developed over 200 electronic designs, from fairly simple to highly complex. Based in India, TronicsZone’s overseas customers can expect exceptional cost savings as compared to their local design firms while maintaining quality of service. An embedded system ideally refers to the notion of a programmed operating system, exclusively dedicated to performing a particular function, found within a larger, precisely controlled, electrical and/or mechanical system. The functionality of such an embedded system design can then be controlled and updated majorly by the Firmware, that is, the software that resides within. These systems are ideally compact in size, low cost per unit and relatively entail lower power consumption. However, this makes managing, programming and interacting with the system much more complex. Modern Embedded systems have, nevertheless, taken over the industrial realm as the underlying concept enables control, maintenance and most importantly, modification to the entire network by just updating the Firmware of the design. This helps reserve the great amount of time, cost and resources which would incur if we were to modify the hardware/mechanical design systems instead. Automation of household appliances that provide flexibility of control over refrigerators, microwave ovens, washing machines, dishwasher and other such appliances. Transportation systems heavily make use of embedded systems in the form of automobiles and recent avionics embedded with GPS functionality which requires considerable safety and monitoring. Electric vehicles and Hybrid Vehicles employ embedded design to minimize power consumption and production of pollution. Electric Motors such as DC Motors, Induced DC and brushless DC motors also make use of embedded systems. Some other transportation safety systems include Electronic Stability Control (ESC/ESP), Anti-Lock Braking System (ABS) and Traction Systems (TS). Medical industries employ embedded systems in various forms such as in medical imaging techniques namely Magnetic Resonance Imaging (MRI), Computed Tomography (CT) scans, Positron Emission tomography (PET) scans and Single-photon emission computed tomography (SPECT) scans. TronicsZone personnel benefits from over 16 years worth of significant experience in both hardware and firmware, software. We specialize in working on embedded system designs using various 8, 16, 32-bit microcontrollers, FPGA and DSP and maintain significant experience on ARM/MIPS/X86 based platforms. Our key goal is to incorporate the functionalities of these microprocessors and microcontrollers best along with secondary analog and digital circuited hardware, such that, we may be able to quickly and efficiently migrate from one processor /microcontroller to another in case our clients have a change of preference for their esteemed products/services. 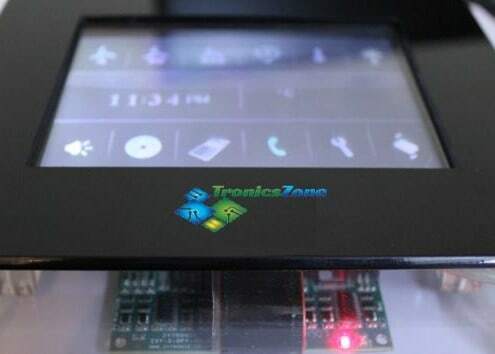 TronicsZone enables its customers to realize the vision of their product with state-of-the-art design modules that cut down cost per manufactured module. Our packages include complete succession of embedded systems development and design, including firmware and middleware development, system-level drivers and applications, performance oriented services, in-depth testing and failure analysis. Additionally we offer PCB designing and rapid electronic prototyping. TronicsZone lies amongst the leading embedded systems unit in the market. Our strong expertise in electronics, hardware and firmware make us an esteemed part of the embedded ecosystems all over India and beyond. For systems running on limited power and others, we ensure minimal usage of resources with lowest production costs possible for the software embedded in physical devices. A field-programmable gate array (FPGA) happens to be an integrated circuit, which as the name suggests, is reliant on being configured by the designer as per the client preferences and needs. This is usually done using Hardware Description Language. These Arrays comprise of programmable logic blocks in an order that can modified. Hence these blocks can be wired into different configurations, from complex functions to simple AND, OR functions; their hierarchy can be re-configured as well. TronicsZone works with all the major vendors in the nation in providing prime FPGA based systems, as a fragment of our embedded design services. The crucial software layer, Broad support package (BSP) comprises of all the hardware-specific drivers and routines that enable an operating system to perform in a given hardware environment. This is integrated with real time operating system, RTOS, and third party partners intending on supporting a RTOS must create a BPS layer first, as the platform on which the RTOS may run. At TronicsZone, we offer support by developing efficient BSPs; our services help system engineers build a more stable system for other relevant engineers to then work with, and ramp up their deployments. Over The Air, OTA, firmware update refers to wireless update of software or data. The idea had been limited to mobile phone device whereby original equipment manufacturers (OEMs) used OTA firmware to configure the cell phones to their network and establish updates. However, with the emerging trend of IoT amongst the industries worldwide, manufacturers now use OTA firmware update to deploy upgrades and configure operating systems on all IoT devices. TronicsZone is amongst these manufacturers. With the pace that IoT based infrastructure are currently expanding, this massive scope technology is projected to grow and take over the ecosystem, as data from IoT sensors a cloud computing converge. Being wirelessly connected via all our devices imposes the biggest cyber threat ever; hence the major concern of network security regarding IoT implementation. TronicsZone’s debugging phase comprises of all the precautionary checks which thoroughly go through each network, application, device, thread and operation residing within the ecosystem to guarantee security of your data. IoT sensors are the indispensable enablers of the reality of Internet of Things. These sensors are what act as the primary input to the IoT based infrastructures as they continually detect and monitor, generating data in the form of electric signals to the respective cloud server where they may be analyzed and processed. The use of the right IoT sensors in accurate workflows is critical to the entire concept of the wireless ecosystem. At our platforms, you will find highly methodical set ups manufactured keenly to support efficiency with accuracy, which ensure tangible connections to your devices and thus give you the ultimate control. A prototype empowers clearer vision for both the client and the developers; developers understand the complexity of the system better and hence can work on ways to make it more efficient; customers gain confidence in their investment by having a visual look at the progress and are able to infer initial costs. Ideas documented or discussed verbally hold much less value than having hands-on experience on a working prototype. This can save up modification time and costs drastically as well as create better communication between the investors and the developers. Electronic prototyping helps build up detailed cost distribution that the manufacturing phase will incur. Costs are thus factored in advance and help in predicting the feasibility of the production of the product. Additionally, it offers an upfront feedback which facilitates early target achievement. At TronicsZone we offer rapid prototyping by enveloping your software into prototype hardware in order to meet your esteemed expectations. 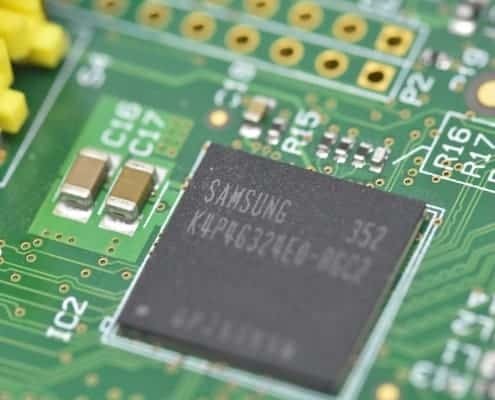 Boot Loaders are an integral part of a Board Support Package (BSP), which starts up and runs the initial silicon chips of an embedded Microcontroller Unit or System on a Chip. These boot loaders are highly processor specific and board specific. They are programmed to communicate with the host and/or read files sent in by the host, using whatever communication protocols that may be needed. For example: I2C, SPI, Ethernet and/or UART. Additionally they are meant to follow through with the memory map of the respective Microcontroller.